It’s never too late to donate! If you have unwanted Winter clothing, bring them in through November 29th. 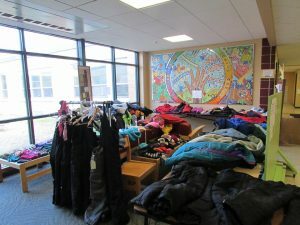 Donations are welcome at any time since Crocker is the first stop as the share makes its way around the Amherst schools. ALL CROCKER COMMUNITY MEMBERS ARE WELCOME TO GRAB SOME WINTER GOODIES.